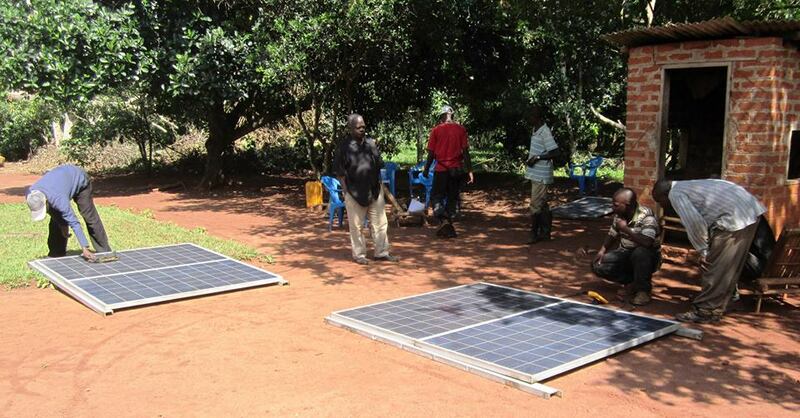 With many urgent medical needs in Congo, why does solar lighting matter? While we must address the urgent needs, PCP is also engaged in a strategic solar lighting project. Light is essential. It is far more than a cosmetic luxury. FACT: Permanent lighting draws more people for hospital and clinic use. People in Congo often choose to visit traditional healers or not to treat sickness at all. Even with well-trained medical staff, it is hard to get sick people to come to a dark, poorly equipped clinic. Providing lights at clinics sets them apart as centers for distinguished professional care and tends to increase the number of patients who use them. We may think that more people coming to the hospital means that more people are getting sick. According to our partners in Congo, this is not the case. More people in hospitals and clinics means more of the people who need medical help are seeking it out. Medical emergencies happen at all hours, and so must medical care. The most common source of light in the absence of electricity is kerosene lamps. These days, battery-powered headlamps are also used widely, sometimes for complex surgical procedures, but kerosene and batteries are both expensive and short lived, especially in rural areas. 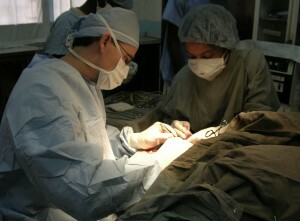 Some clinics have been able to purchase small generators, but these require expensive fuel as well. In the end, all of these options cost much more than solar lighting. Kerosene lamps also bring an added risk with the toxic fumes they produce. A University of California study suggests that 20% of all money spent globally on light goes to kerosene. This fuel produces only 1% of the lumens, while causing carbon emissions equivalent to one third of all the UK’s carbon emissions! It is inefficient and dangerous. Effective medical care is the objective. With solar lighting in place, a nurse running a clinic can focus on patient-care rather than light. Budgetary and toxic environmental factors no longer persist. Most importantly, local people in need of care will seek the help they need. This translates into a more sustainable medical system, a morale boost for the nurses, and more saved lives. This is why solar lighting is a key component to the Congo Clinic Initiative’s goal of raising the standard of medical care in Congo. Thank you for partnering with us!